There is no doubt, Conn Iggulden is a master storyteller, and this is his second masterpiece. 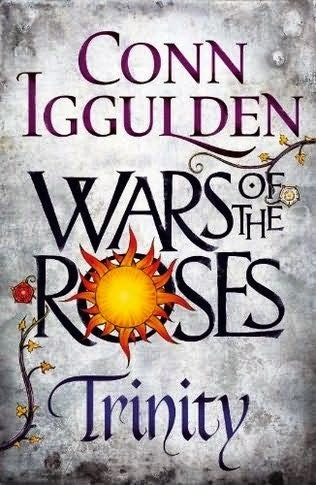 Following on the heels of Stormbird, the first book in the War of the Roses series, this novel is sure to please. Frail King Henry VI is plagued with strange madness, catatonic, a mere shell of a human being. The time is ripe for usurpers to seize control of the kingdom through the infant heir, the Prince of Wales, who Henry does not know exists. When King Henry emerges from the dark of his madness, he is shocked at the machinations that have taken place, and struggles to set things right in the kingdom once more. The House of York battles with the House of Lancaster in an endless power struggle to control the heir, the king, the country. The War of the Roses is one of the most complex and colorful eras in English history, filled with fascinating people and circumstances. Never before has an author written such a detailed, comprehensive accounting of this difficult period. By writing a trilogy, Conn Iggulden is able to bring to life all the details, conflicts, characters, and plot twists of the time. It lends readers to have a greater, more indepth understanding. There are plenty of battle scenes that are so realistic, one feels as if they have truly experienced them. Clever dialogue and detailed descriptions lend a superb realism to the story. This novel ends with Edward, the Earl of March and the triumph of the House of York. And I am eager for the third installment. If you’ve never read a novel by bestselling Conn Iggulden before, then now is the time to start! Excellent as expected.